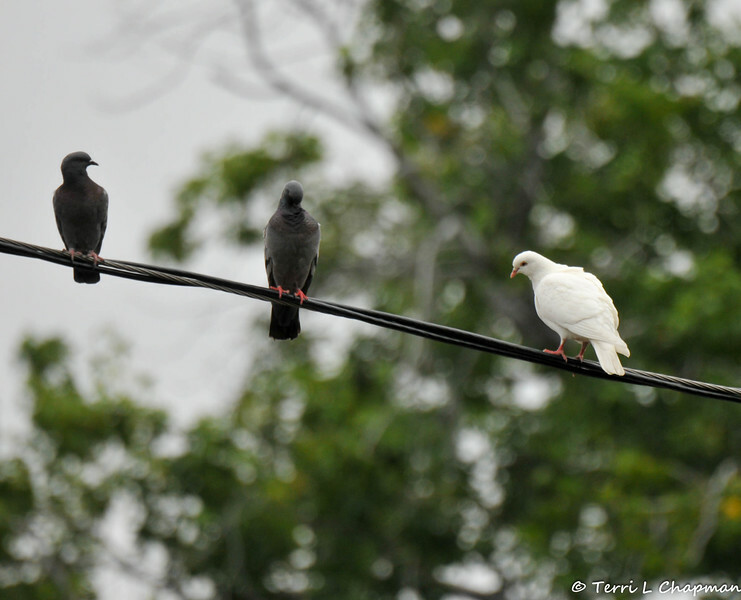 A white Dove perched on an electrical wire with pigeons. This dove was probably released for a wedding or funeral and did not return to its handler. White birds are far more likely to be easy meals for birds of prey and for this reason, I am not a fan of releasing captive birds for events.